I gotten myself this Laura Mercier Gel Lip Colour in Heartbreaker which is a limited edition colour under the Laura Mercier Summer 2014 Colour Story : New Attitude Collection which I blogged earlier on here. 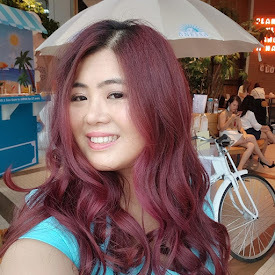 Before I swatch and share my review about this Laura Mercier Gel Lip Colour in Heartbreaker, let me recap that for this 2014 summer Laura Mercier released 4 limited editions colour gel lip colour. Laura Mercier Gel Lip Colour is an innovative gel-based lipstick that cushions lips in comforting, sheer colour with a shine finish and subtle sweet vanilla flavor. The super smooth formula leaves lips conditioned and hydrated. Out of the 4 colours, Heartbreaker and Clementine are my favourites. As you can see Laura Mercier Gel Lip Colour in Heartbreaker comes in a sweet pink colour, very sheer for the 1st layer and it built up a little bit as I layered it. The sweet look I have created to match Laura Mercier Gel Lip Colour in Heartbreaker. 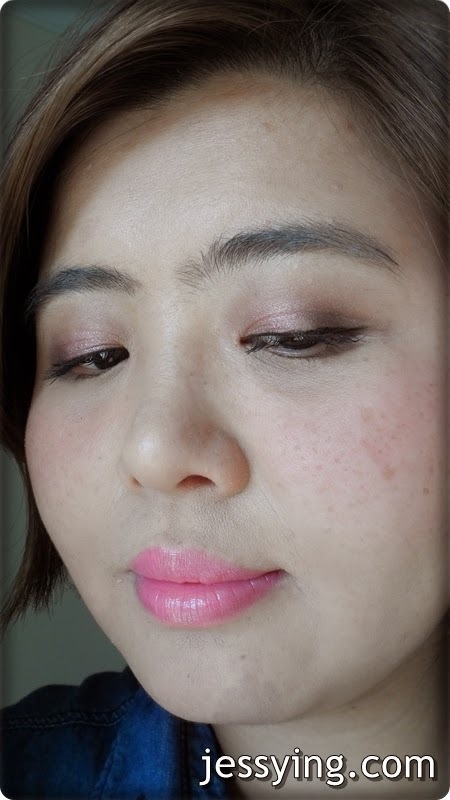 Pink eyeshadow, pink cheek and pink lips! 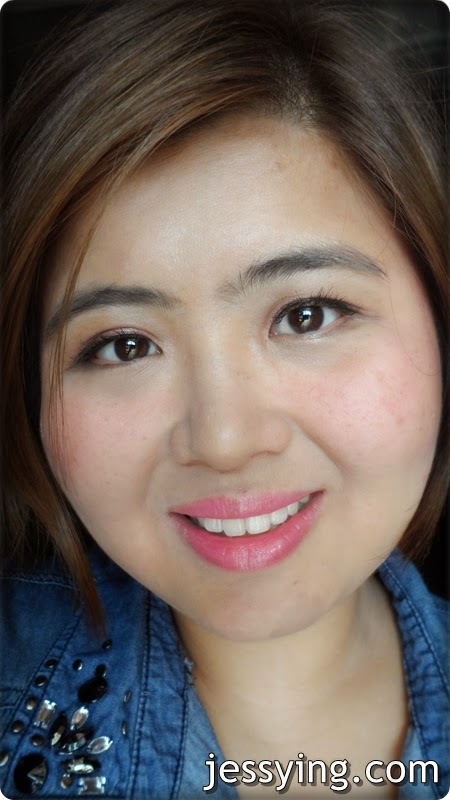 I put on Lavshuca Eye Shadow CS in PK-1 (light pink on the inner corner of my eyes and purple on the outer corner of my eyes). Top up with a little bit of brown eyeshadow on top of the purple colour. And I had my fav Too Faced Sweethearts Perfect Flush Blush on my cheek! Now do you think I have a Heartbreaker look?